The hand consists of many different muscles, bone and tendons. Stressing the hand too much can result in irritative conditions and pain. The hand must then be rested and the patient is severely handicapped in his day to day activities. 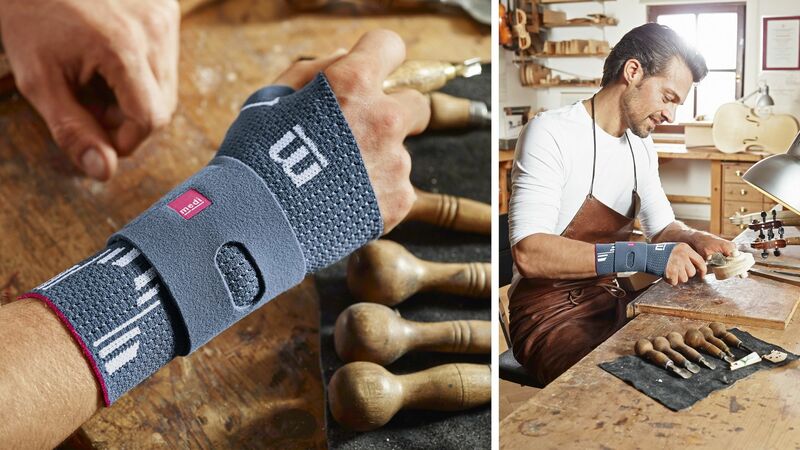 Wrist supports relieve the joint and help avoid movements that impede healing. The wrist must be rested after an injury, an operation or for irritative conditions. Wrist supports are suitable for effective therapy of sprains, tenosynovitis or rheumatic symptoms. They immobilise the joint and stabilise it at the same time. Breathable materials make them comfortable to wear. Depending on the model, the compressive knit or individually adjustable orthotic modules promote healing.